Let’s face it: Melbourne isn’t really known for its skyline. Besides the famous Arts Centre spire and the gargantuan Eureka Tower, we don’t really have defining buildings that shoot out into the stratosphere. 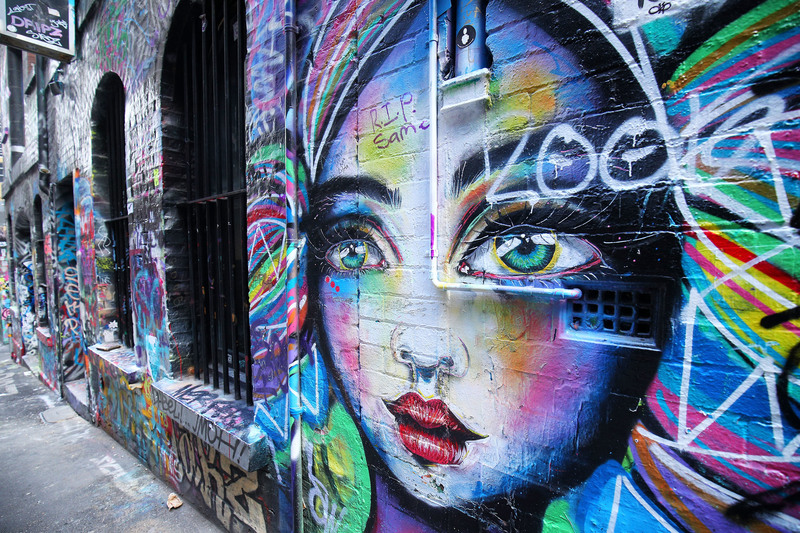 Instead, you’ll find some of Melbourne’s best buildings hidden within the grid, on street corners or in grand, green gardens. 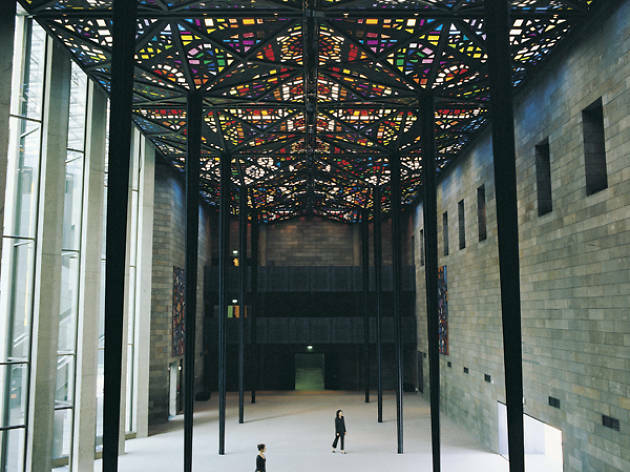 Below we’ve picked our favourite beautiful buildings in and around Melbourne. We suggest making a day of it and seeing how many you can visit. 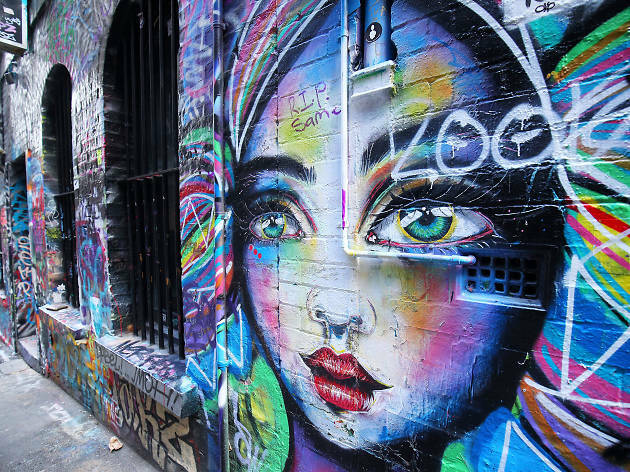 While you’re exploring, check out the best laneways and arcades in Melbourne and stop in at one of these excellent coffee shops in the CBD. 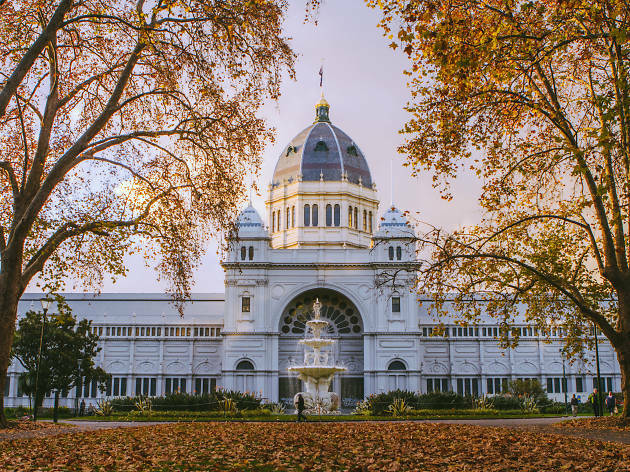 Designed by architect Joseph Reed (who also did the Melbourne Town Hall and the State Library of Victoria) and completed in 1880, the Royal Exhibition Building is one of Australia’s most impressive architectural beauties. It is one of the world’s oldest remaining exhibition pavilions and was built to host the first official World’s Fair in the Southern Hemisphere. While smaller sections of the building were demolished or ravaged by fire, the main building, known as the Great Hall, has survived. 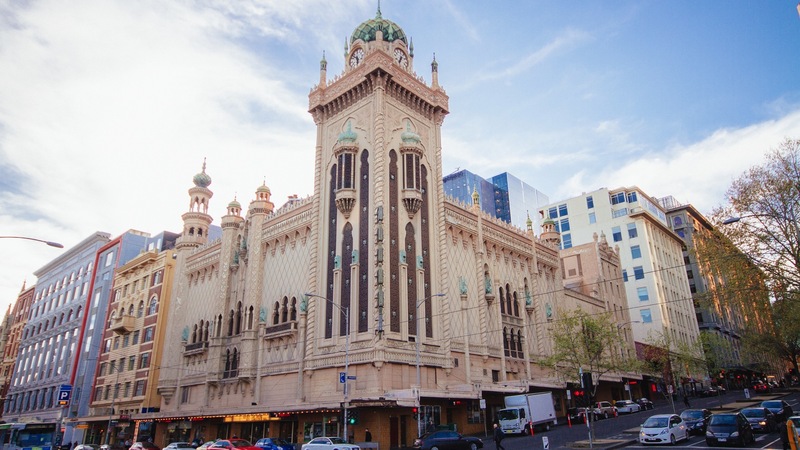 Not only is the building impressive from the outside, the ornate decor of the Great Hall needs to be seen IRL (you can get a good peek at select events throughout the year, including the Melbourne International Flower and Garden Show, the Dog Lovers Show and the Finders Keepers Market). Fun fact: the Royal Exhibition Building was the first building in the country to be awarded UNESCO World Heritage status (take that, Sydney Opera House!). 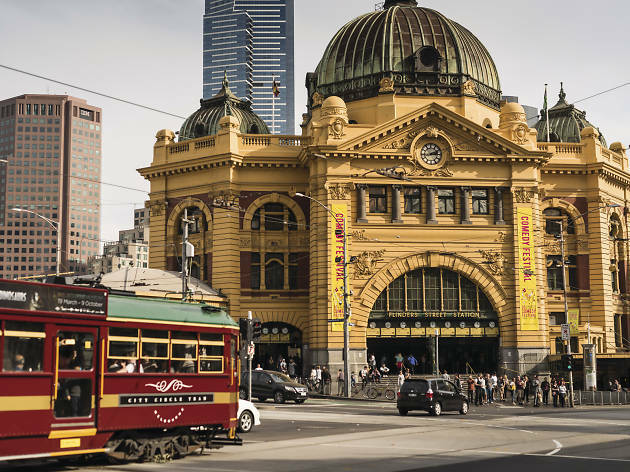 Ah, Flinders Street Station – its dome so iconically Melbourne it’s featured on a million tourist brochures. Rumour has it that the original designs for Flinders Street Station were accidentally mixed up with the plans for Mumbai’s (then Bombay) main train station. It makes sense: Mumbai got a looming, gothic building, and we got a vaguely East Indian-inspired design. 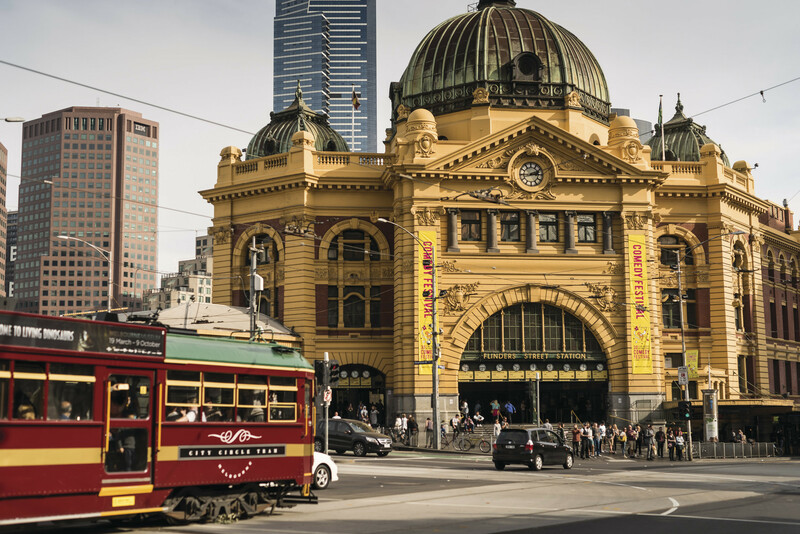 Whether it’s true or not, Flinders Street Station is one of the city’s most recognisable landmarks. Construction began in 1900, with the original designs laid out by Fawcett and Ashworth reminiscent of a French Renaissance style, including a large dome over the main entrance and a clock tower over the Elizabeth Street entrance. The building’s elusive top floor ballroom was a later addition, and has been largely abandoned since the ‘80s (though lucky punters might sneak a peek during the annual Open House event). 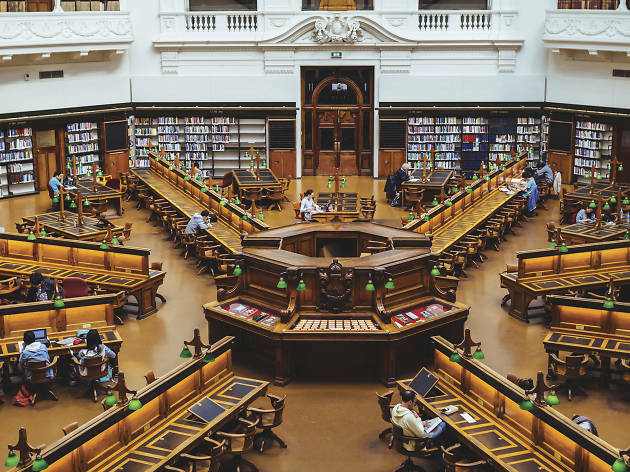 Melbourne’s central library was established way back in 1854, making it one of the first free public libraries in the world. 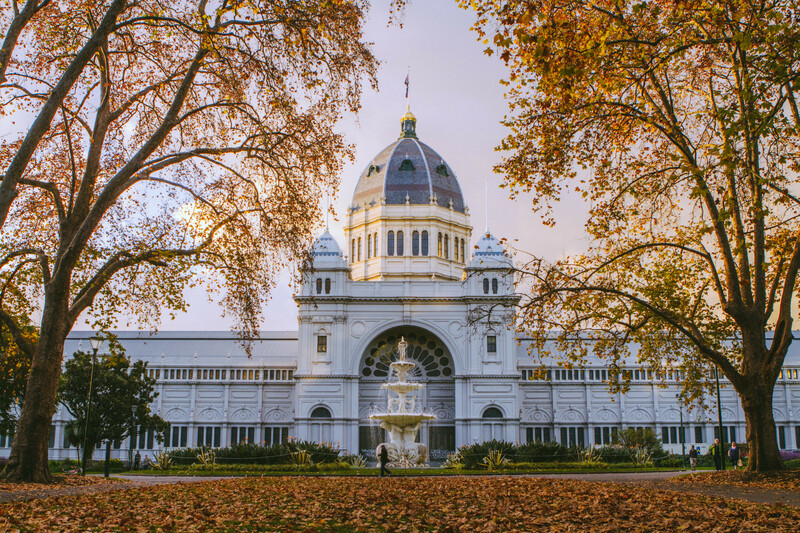 Architect Joseph Reed was behind the design, which initially combined a library, museum and gallery in the one building (the National Gallery of Victoria eventually moved to St Kilda Road in 1968, and the Melbourne Museum moved to Carlton Gardens in 2000). 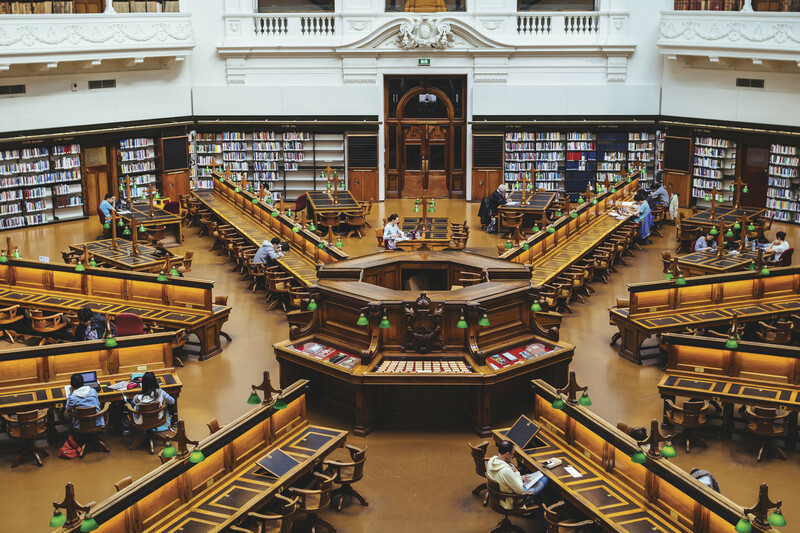 The first stage of the library opened in 1856, with a collection of 3,800 books, and included most of the front wing and the Queen’s Hall reading room. The library’s famous Domed Reading Room opened in 1913 and was designed by Bates, Peebles and Smart (now known as Bates Smart), which was a successor to Reed’s architect firm. In 1959, the dome’s skylights were covered in copper due to water leakage. Fun fact: the majority of the furniture found in the Domed Reading Room (including those rickety wooden chairs) have never been replaced. 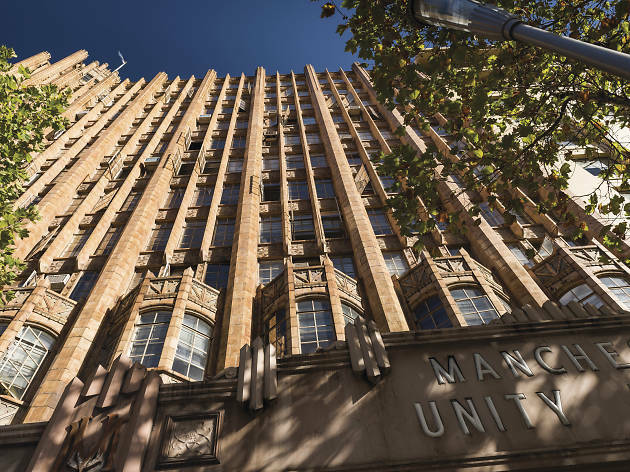 Probably one of the most renowned Art Deco buildings in Melbourne, the Manchester Unity Building certainly doesn’t get the credit it deserves, probably because of its more famous next-door neighbours (ahem, Melbourne Town Hall). Sitting on the north-west corner of Swanston Street and Collins Street, the site was purchased back in 1928 by the Manchester Unity Independent Order of Oddfellows (now known as Australian Unity). Construction was delayed because of the Great Depression but began early in 1932, with designs reminiscent of the Tribune Tower in Chicago. The design features buff-coloured cladding, vertical ribbing and a Gothic crown that includes numerous flying buttresses. 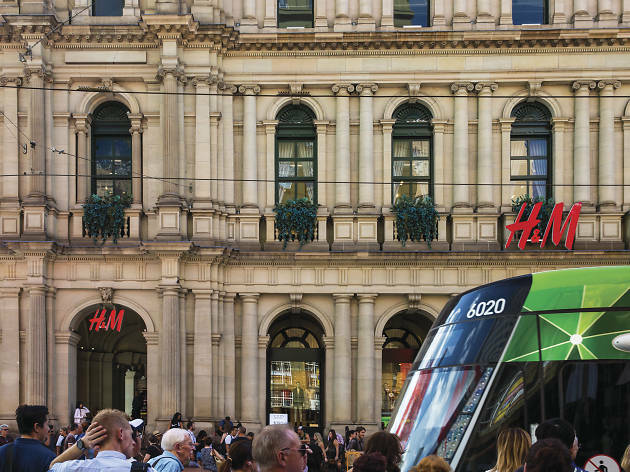 There are a total of 12 floors, with Melbourne’s first escalators installed in the building to gain access to the basement arcade. 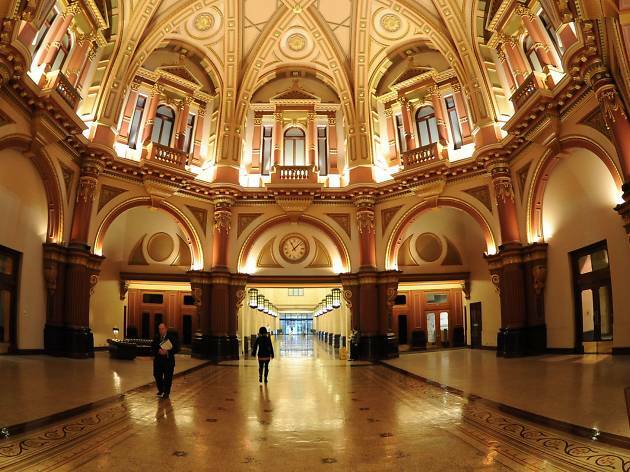 The old General Post Office is located on the corner of Elizabeth Street and Bourke Street Mall and is an icon of inner-city Melbourne. The building began construction in 1859 and spent the next five decades being constructed and remodelled. The iconic clock tower was added around 1887, during this final stage of construction. American architect Walter Burley Griffin redesigned the sorting hall into a public hall around 1919, only for it to be altered again by John Smith Murdoch. The space functioned as a post office for most of the 20th century until 1993 when Australia Post decided it wanted to move its post office functions into smaller shopfronts. Many commercial schemes were proposed, though none came into fruition until 2001, when it was leased to developers with the goal of turning it into a shopping centre. A fire broke out in the GPO in September 2001, destroying the interior of the building, and it was only in 2004 was the GPO reopened as a high-end retail precinct. 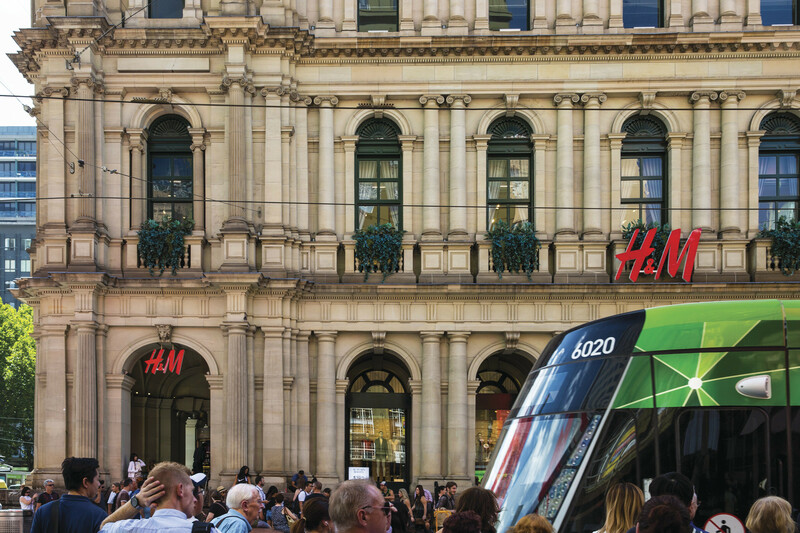 Since 2014, the GPO has been home to Melbourne’s first H&M store. Even if you're not there for the clothes and accessories, you can still have a peek inside at the building's impressive 19th-century grandeur. This grand modernist building on St Kilda Road is Australia’s oldest and most popular art museum. 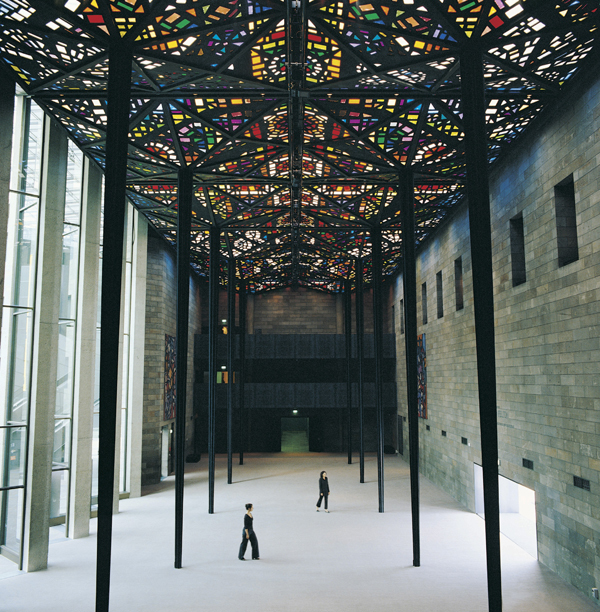 The NGV International building opened in 1968 after the gallery outgrew its State Library digs, with a design by architect Roy Grounds. As well as the water wall entrance, one of the building’s most popular features is a magnificent, boiled lolly-like stained glass ceiling by Leonard French, which is one of the world’s largest pieces of suspended stained glass. The gallery is known for its top-notch and permanent exhibition (which includes a Rembrandt, a Bonnard and Tiepolo), fantastic visiting collections (previously we’ve seen exhibitions devoted to Van Gogh, Monet and a double feature of Andy Warhol and Ai Weiwei) and an ongoing series of additional events aimed at locals and tourists alike. 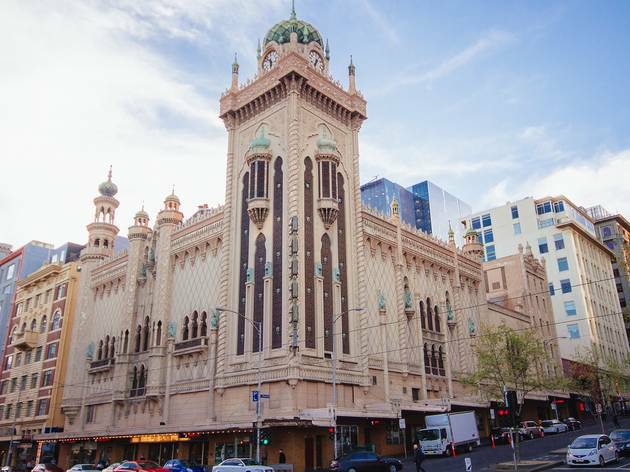 Known previously as the State Theatre, Melbourne’s Forum Theatre was built in 1929 as an ‘atmospheric theatre’. This type of design tried to transport patrons away from a boring, boxlike setting into an exotic European courtyard or garden. In the Forum’s case, this meant the inclusion of a number of Greco-Roman statues, ornate balconies, gargoyle-adorned alcoves and a cerulean-blue ceiling with sprinkled lights that mimic the twinkling stars of a twilight sky. The exterior is done in a Moorish Revival style, complete with tall spire-like minarets and a clock tower. In 2017, the Forum got a schmick renovation that stripped back the carpet in the entrance to reveal incredible mosaic tiles and the venue’s original astronomical clock. These days the Forum is used as a theatre, cinema and live music venue. 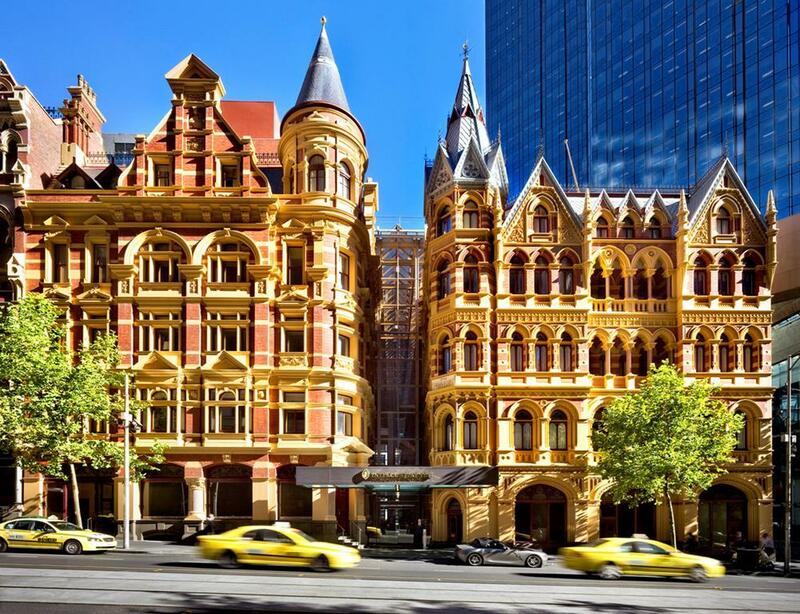 From the striking 1890s neo-gothic façade to the sophisticated guest rooms complete with marble bathrooms, grandeur is the name of the game at the InterContinental Melbourne. 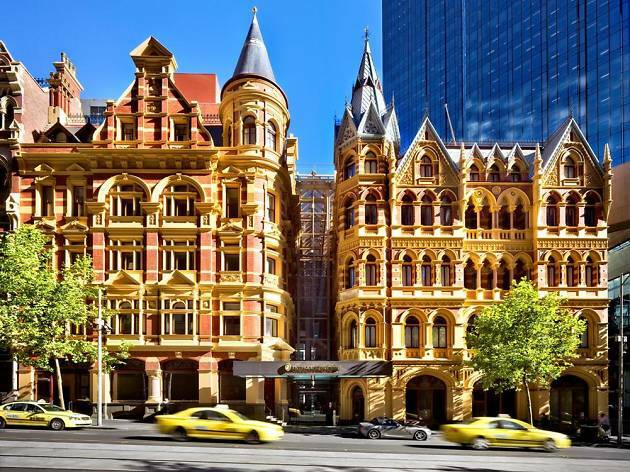 Built in 1891, the hotel actually began as two separate buildings that housed the Melbourne wool stores and its offices. The style is similar to that of Brick Romanesque buildings that were popular at the end of the gold boom. The bluestone cobbled laneways between the Rialto and Winfield buildings still remains to this day under the floorboards of the hotel. Your best way to enjoy it all is by sitting under the soaring arches of the atrium at the Alluvial restaurant. There are about 36,000 McDonald’s restaurants around the world, but only one of them looks as cool as this. 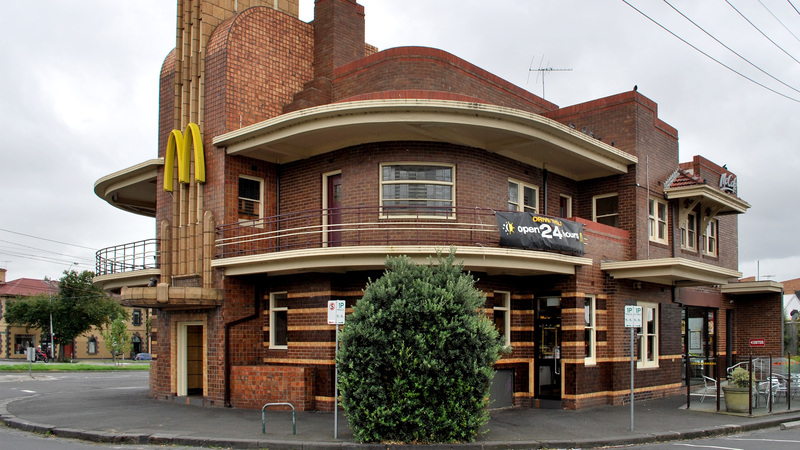 Clifton Hill’s famous McDonald’s is probably one of the best examples of jazz moderne architecture in Victoria, with its cantilevering concrete balconies and rounded façade. 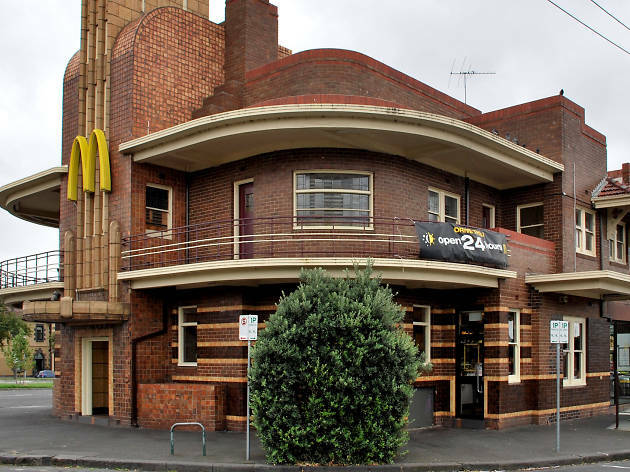 Though, no, the building wasn’t always a Maccas. Built in 1937 at the intersection of Heidelberg Road and Queens Parade, the building was originally the United Kingdom Hotel until it was delicensed in 1988. Following its purchase by McDonald’s, the restaurant was obliged by the historical society to maintain many of the building’s most important features. 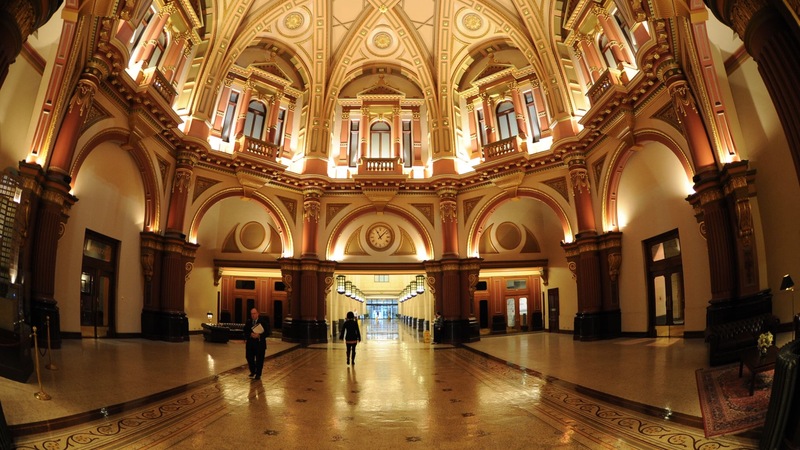 Originally built as a banking hall by the Commercial Bank of Australia (now Westpac), 333 Collins Street is just your standard run-of-the-mill office block. Just kidding! It’s an opulent, Italian Baroque-inspired building that just screams old money. The entire building, including its ancillary tower, was completed in 1990, but there are parts of the building that were constructed more than 100 years before. If you enter the lobby from Collins Street and look up, you’ll see the elaborate domed banking chamber covered in intricate gold-plated decorations. 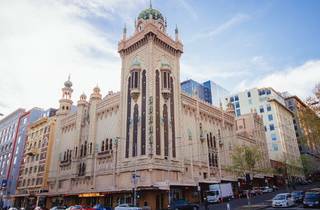 Funnily enough, the building was almost demolished in the ‘70s, but the Historic Buildings Council put its foot down and got legislation passed to protect Victoria’s architectural heritage. Passing through Elizabeth Street? 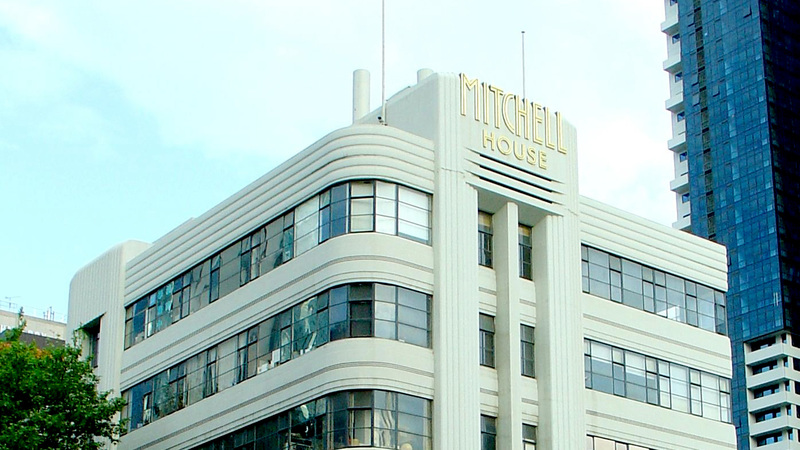 Might we suggest looking up at the resplendent Mitchell House building on the corner of Lonsdale Street? 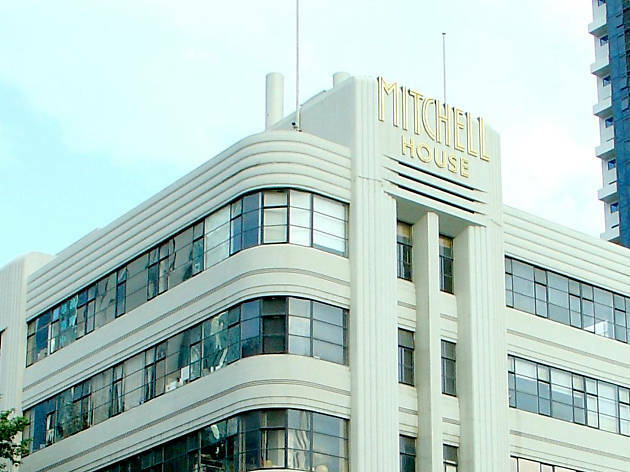 Mitchell House is a six-storey Art Deco commercial building that takes inspiration from the Streamline Moderne style of architecture from the 1930s. This building was designed by Australian architect Harry Norris and was completed in 1937. 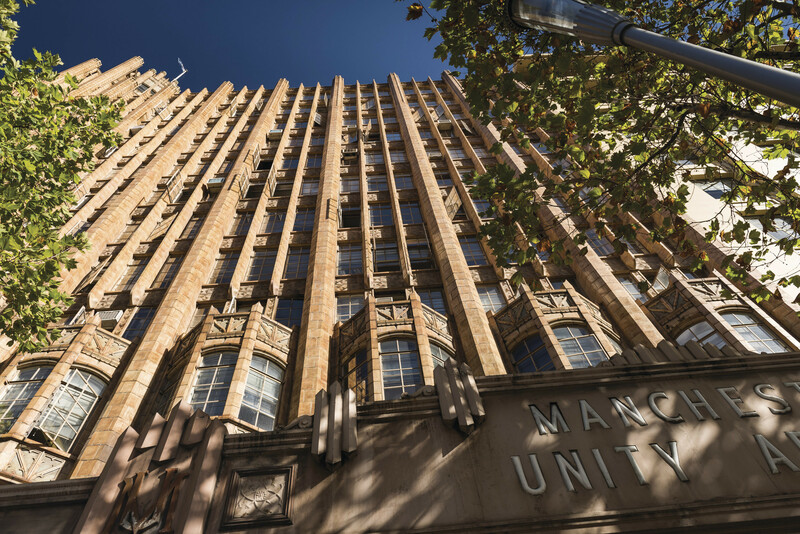 Not only is the building gorgeous to look at, it’s also home to a number of cool tenants (Rocksteady Records, Lord Coconut and, ahem, the Time Out Melbourne team).